WASHINGTON (AP) Major changes are needed in college basketball before the 2018-19 season to show the public that the NCAA is capable of governing the sport in the wake of a bribery scandal, NCAA President Mark Emmert said Monday. Emmert’s comments at a meeting of the Knight Commission on Intercollegiate Athletics were his most extensive since federal investigators in New York accused coaches, financial managers and an Adidas executive of using bribes to influence athletes’ choices of schools, shoe sponsors and agents. 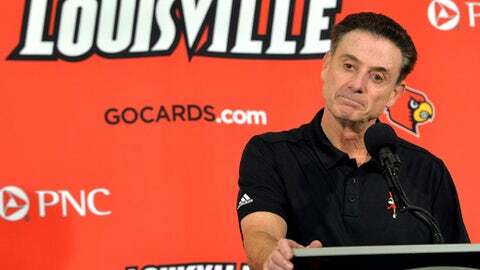 The revelations detailed in court documents led to the firing of Louisville coach Rick Pitino and athletic director Tom Jurich. The NCAA this month created a commission chaired by former Secretary of State Condoleezza Rice to study college basketball and recommend changes. The panel will begin its work next month and make recommendations by April. Following Emmert’s comments, Knight Commission co-chairs Arne Duncan and Carol Cartwright outlined what some of those reforms could be: regulations for nonscholastic youth basketball; greater enforcement powers for the NCAA, including possible subpoena powers; a limited antitrust exemption that would give the NCAA protection from lawsuits in exchange for some federal control; and allowing athletes to benefit from the use of their names, images and likenesses. Basketball is critically important to the NCAA because it gets most of its annual revenue – roughly $800 million – from television rights fees for its men’s basketball tournament. The college football playoffs, by contrast, are not run by the NCAA. A failure to act, Emmert said, could lead to the end of the NCAA as a governing body and a move toward a ”European model” under which football and basketball are entirely professionalized. That, he said, would have an undesirable ripple effect upon other college sports that are subsidized by football and basketball revenue. Citing internal surveys, Emmert also said the NCAA’s failure to punish North Carolina for academic violations was unpopular, although he declined to criticize the infractions committee that said it ”could not conclude” the school committed academic violations. Duncan was more pointed in his comments about the North Carolina case, saying the NCAA was prevented by a ”loophole” from punishing the school. Both Duncan and Emmert said they were concerned about the prospect of more charges in the bribery investigation, which is being handled by prosecutors from the Southern District of New York.